We speak to Marcus Zandhuis, Founder & Managing Director of Cape Town Magazine on how they’re doing digital. My passion is creating things that work. Well, that’s after a morning hike up Lion’s Head and a flat white, anyway. For us, CapeTownMagazine.com is about creating a trusted and exciting discovery space. People are in a positive and explorative headspace on the site – it’s the perfect place for brands to connect with them. We’ve accelerated to become the largest online magazine in Cape Town by far, and are continuing to grow the latest channels exponentially like we did with our Instagram, which had a growth of 800% in just over one year. What do you believe is the biggest challenge for digital media in South Africa? Content, advertising, contextual relevance etc. I think one of the biggest challenges is that online, everything is about measurement, but the channel is still underrated. On the other hand, print advertising is overrated but there is no way to truly measure this. The fact that print is still used so heavily absolutely blows my mind during every single conversation I have about online success – there are so many case studies and comparisons that we can use to demonstrate how much more effective online is. We share our success stories with other companies, and we invest in growing businesses as we’re relationship- and outcome-driven. I love comparing our online work to what we do in print – we invest in better insights that are then validated. I love seeing companies grow their turnover by 67% after working with us. I love it when our wallpaper outperforms 4-to-1 when compared to the next digital property in the campaign. C: contextualised for the user? Niche – but the largest, and most important, for lifestyle brands in this part of the country. What is going to be your focus for the next 12 months to ensure you are able to offer advertisers A, B, or C? 360 degree case studies on successes created with some great brands, across content and channels. We want to partner with great media agencies, and we’d like to grow our business model based on success we’ve had with our current partners. 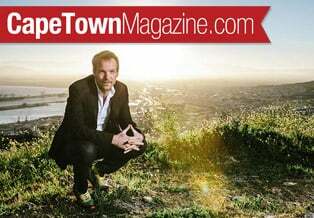 We’re setting our aim on growing 200% with a completely new CapeTownMagazine.com site. There is a lack of writers and content makers that know to keep online elements in mind when creating content, including creating for multiple channels and keeping the reader in mind. All of our successful principles and methodologies we use have been developed in-house. Good question – I’d like to know! Within our team, it’s all about sharing our own methodologies about how we always create success, instilling them, and developing them further. A new CapeTownMagazine.com based on our emotive core, to enable exciting discoveries around the corner – every time, again and again – for everyone. We want to implement those gems of innovative and truly out-of-the-box thinking into things that are so simple, you wouldn’t even think twice, but that really work magic, and all of this in a positive environment. Good brands know that and will want to work with us because of that.